Epipen is a brand of auto-injector that contains 0.3mg (or 0.15mg in epipen junior) of the active ingredient adrenaline (epinephrine). Adrenaline injections are used to treat severe allergic reactions that are classified as an anaphylactic reaction. Without adrenaline, these reactions can prove fatal. Each pen contains a single dose of adrenaline and an only be used once. As soon as symptoms of anaphylaxis appear, the epipen must be used immediately via an injection in the outer-mid thigh. The medication starts to work immediately and relieves symptoms such as a swollen throat & mouth, and also helps to maintain heart function and blood pressure levels. Some people go into anaphylactic shock for unknown reasons, so it’s always a good idea to visit an allergy clinic to become aware of your triggers and avoid them where possible. Always keep an epipen (preferably two) on or near you at all time for unexpected anaphylactic reactions. Have you ever been advised by your doctor or specialist to carry an Epipen with you in the event of anaphylaxis? Why do you require an Epipen? Have you ever had to use an Epipen due to an episode of anaphylaxis? 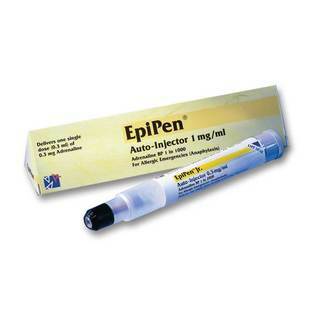 Have you received training and are you confident in using this Epipen if an episode of anaphylaxis occurs? Are you confident that you would recognise the signs/symptoms of anaphylaxis? You have not withheld information that could be relevant in a doctor's decision to provide treatment? Epipens are an emergency treatment for anaphylaxis (a severe allergic reaction that can be fatal), and the adult version contains 0.3mg of adrenaline (epinephrine) as its active ingredient. The treatment comes in the form of an auto-injector which should be used as soon as symptoms of an anaphylactic reaction become apparent. Adrenaline only works in this instance if it’s administered via an injection in the outer-mid thigh. When given correctly, it can help to stop an anaphylactic reaction from become life-threatening. Epipen’s active ingredient is adrenaline – a substance that’s normally produced in the adrenal glands and by some neurons. It’s a vital hormone for maintaining a healthy cardiovascular system. When many people hear the word “adrenaline”, they might think of an adrenaline rush or “adrenaline junkies”. That’s because adrenaline naturally prepares the body’s “fight or flight” response, and causes an increased heart rate and raised blood pressure. However, adrenaline also has another important job in the bodies of people who suffer with anaphylaxis. Adrenaline acts as an antidote to many of the chemicals released during an anaphylactic reaction, reducing symptoms such as throat swelling whilst opening the airways and maintaining heart function and blood pressure levels. How do you use Epipen? You must keep your epipen (or preferably two epipens) on or near you at all times, and the injection must be administered as soon as symptoms of anaphylaxis become apparent. If you suspect you’ve been exposed to an allergen and are experiencing any of the following symptoms, It’s important to use the epipen immediately. Epipens have two ends – the blue end with the safety cap, and the orange end. When giving an injection, the orange end must always be the part of the pen that sits against your thigh, as this is where the adrenaline comes out. The official epipen website have developed a rhyme to help you remember which way up to use the auto-injector – “blue to the sky, orange to the thigh”. Before injecting, you must pull the blue safety cap off the top of the injector and position the orange end of the pen against your outer-mid thigh. Jab the injector into your thigh until it clicks, and wait for 3 seconds before removing it. This ensures that all of the adrenaline enters your system. You don’t have to remove any clothes before using the auto-injector as long as it can easily pierce the material to get through to your skin. Make sure you only inject into the outer-mid thigh, as administering the medication anywhere else means it won’t be as effective and may carry more risks. The outer-mid thigh area is thought to be one of the least painful areas on the body to inject, and you’re unlikely to accidentally hit a vein or artery whilst injecting there. 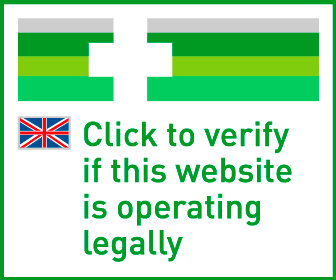 If you’ve used your epipen anywhere else (unless otherwise advised by your GP), tell a healthcare professional. It’s important to learn how to use the auto-injector before you need to, and reusable training devices are available for you to practice. Sometimes, anaphylaxis might cause you to lose consciousness or collapse. Because of this possibility, it’s a good idea to show friends and family members how to administer an injection in case you suffer from a reaction and are unable to self-inject. As soon as you’ve used the auto-injector, you should lie down with your legs elevated and call for an ambulance, stating anaphylaxis as your reason for calling. You’ll probably need to be observed in hospital for 6-12 hours to make sure that symptoms don’t reoccur and that your blood pressure and heart rate return to a normal, safe level. Can I use my epipen more than once? Each epi-pen is a single-use dose of adrenaline, so you can’t use the same pen more than once. However, if you have two pens, you can give yourself a second dose if your symptoms haven’t improved within 5-15 minutes of having the first injection. It’s important to make sure you don’t have any more than two doses (two epipens), as this can cause an overdose of adrenaline. If you suspect that you’re experiencing an adrenaline overdose and you haven’t already called an ambulance for anaphylaxis, call 999 immediately. What are the side effects of using an epipen? If you do experience any of the above side effects, ask a paramedic, doctor or nurse for advice on how to cope with them. Can I use an epipen? You might be concerned if you’re pregnant and at risk of an anaphylaxis. The general advice is to not hesitate and to use the epipen despite being pregnant, as not using it when you need it might cause serious problems for you and the baby. Inject into the anterolateral aspect of the middle third of the thigh. Dose may be repeated several times if necessary at 5-minute intervals according to blood pressure, pulse and repository function. ONLY to be used in emergencies.